April 2014 saw the anticipated release of the much loved IBM Power8 entry level servers. The stable tin for many a mid market enterprise, the Power8 has proved as resilient as it has proved popular. So it comes as a surprise that IBM announces their intention to withdraw the product from their IBM Power range in February 2019. The announcement highlights the end of marketing for the Power Systems S822, S824L and two socket machines with the S812, S812L and S814 joining the list of products to be dropped from any future marketing promotion in May 2019. IBM will no doubt try to promote it’s Power9 suite as a worthy replacement and upgrade with enticing discounts and offers during the forthcoming months as Big Blue place their focus on it’s AI ready group of servers in the format of Power9. 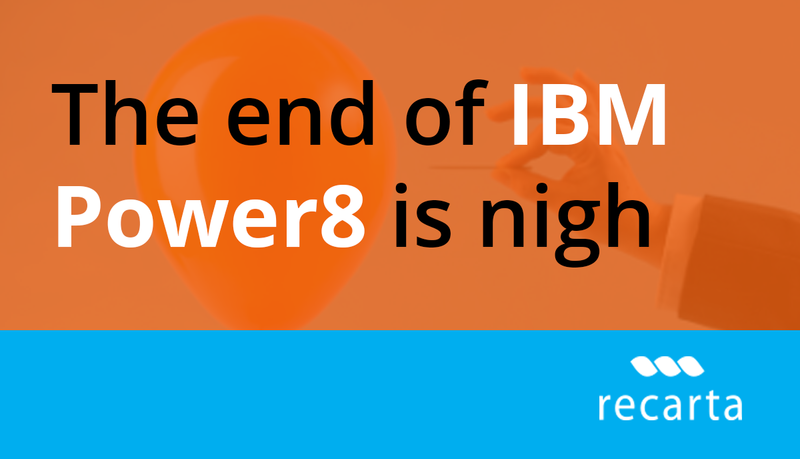 Clearly IBM’s Power8 (and it’s predecessors) will still be available from it’s channel partners and the second hand marketplace. However IBM continues to keep IBMi and AIX happy by trying to offer incentives to upgrade and migrate from out of support hardware as this latest announcement demonstrates. If you are looking to understand if the latest withdrawal announcement will effect you please contact your Recarta account manager who can advise you on the options available to you. Is Lenovo a strong candidate for your datacentre?